"Do you think the Petit Trianon is haunted?" In August 1901, two women visiting Versailles decided they'd visit the Petit Trianon. 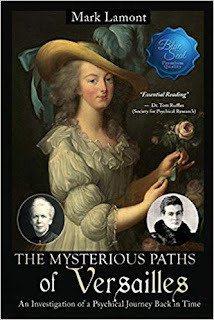 Baedeker in hand, Miss Charlotte Anne Elizabeth Moberly and Miss Eleanor Frances Jourdain set off from the Salle des Glaces toward their destination, and what happened next became the subject of this book. It also sparked a controversy that continued over the decades, a number of books, radio and television dramatizations, and as Wikipedia quotes historian Roy Strong, the incident "retained its hold on the public imagination for half a century." Even now, a full century-plus later, all manner of websites exist on the topic of what came to be known as the "Moberly-Jourdain Incident," so obviously some people are still interested. "and came up a broad green drive perfectly deserted. If we had followed it we should have come immediately to the Petit Trianon, but not knowing its position, we crossed the drive and went up a lane in front of us." Evidently Miss Moberly was surprised that Miss Jourdain/Lamont didn't stop to ask directions from a "woman who was shaking a white cloth out of a window of a building at the corner of the lane," but they continued on their way, and eventually came to a point where "there were three paths" in front of them. They followed the center path, since there were two men there from whom they thought they might get directions. The men were dressed "in longish green coats with small three-cornered hats," and indeed directed them to continue straight. When they left the lane, Miss Moberly reports an "extraordinary depression" that had come over her that she could not shake. Coming to a small garden kiosk, they encountered a man who looked at them, causing Miss Moberly to note that this was the "culmination" of her "peculiar sensations," and that she "felt a moment of genuine alarm." Without giving away all of the strange occurrences reported by these women, they encountered yet another man who let them know that they were going the wrong way, and eventually they arrived at a house they had assumed was the Petit Trianon. And if things weren't already weird enough for these two women, they become even more bizarre at this point, when Miss Moberly encounters a woman sketching. "resolved to write down independent accounts of our expedition to Trianon, read up its history, and make every enquiry about the place." "On August 10th, 1792, the Tuileries was sacked. The royal family escaped in the early morning to the Hall of the Assembly, where they were penned up for many hours hearing themselves practically dethroned, and within sound of the massacre of their servants and of the Swiss guards at the Tuileries." 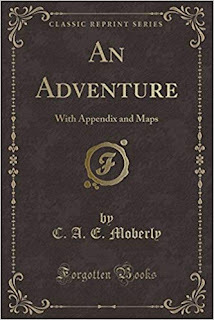 She also reveals that both of the women wondered if they had "inadvertently entered within an act of the Queen's memory when alive..."
In 1911, the two women published this book, which includes their accounts, their research over the ten years that had elapsed since their initial experiences, and it is here that the authors also attempt to offer proof that what they had encountered could have only taken place in the late eighteenth century. They claim to have had no previous knowledge of Versailles in the eighteenth century prior to 1901, making it impossible to have come up with the detailed descriptions given in their respective accounts. Noting that they do not "pretend to understand -- what happened to put us into communication with so many true facts," they go on to say that the book was meant to "record exactly what happened as simply and fully as possible." If you can find it, there's also a dvd based on this story (although seriously embellished -- I know, since I watched it after finishing An Adventure) called Miss Morison's Ghost, with Dame Wendy Hiller in the title role. And while it's your own call whether or not the story is a hoax, An Adventure is still a fine read for anyone at all interested in otherworldly sorts of phenomena. Labels: 1910s, 2018, forgotten books, ghostly encounters? The Real Stuff is part of my main reading journal for each year, where I keep track of all of the nonfiction. 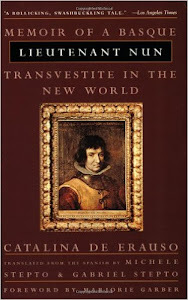 I love nonfiction, especially history. If you're at all interested in the literary fiction part of my reading year, or the crime fiction reads, the links above will take you on through.